Home › 4. Oil & Gas / Utilities › Can M2M Prevent Messy Environmental Spills (and PR Crises)? Can M2M Prevent Messy Environmental Spills (and PR Crises)? A North American mining company is finding itself in a very tough position. 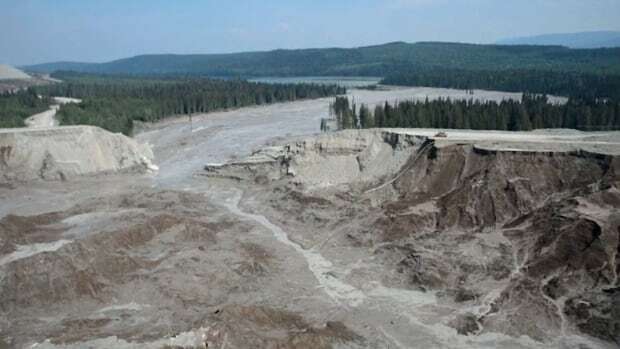 According to a news reports, its mining tailing pond burst, sending an estimated 10 million cubic metres of water and 4.5 million cubic metres of toxic silt into the local waterways. Government officials still don’t know if and how the breach will affect the local environment and drinking water but many agree that the news is not good. This event reminded me very much of a recent oil spill where a high-pressure pipe burst at a transfer pumping station sending 10,000 gallons of crude through the streets of Los Angeles. The clean-up was relatively quick but it raised some good discussions about how M2M technology could be used for pipeline monitoring. Of course, in the case of the tailing ponds breach, details are still emerging and it’s unclear what monitoring was already in place and what further could have been done to prevent such a spill. Still, I was curious about the potential of M2M for monitoring remote mining operations. I reached out to Anthony Brownlow, CEO of Salt Lake City-based VitalVu to find out his opinion on whether M2M technology could also be used to remotely monitor tailing ponds. According to Brownlow, there are many types of sensors that can detect stress, movement or moisture levels in earth barriers that would detect a breach-risk in good time before it occurs. Remote monitoring software, like VitalVu, would continually monitor levels of such sensors and display the integrated information on dashboards for inspection by operators. Parameters built into the monitoring software also allows the system to automatically detect high risk levels and send out text and email alerts in real time in order to allow companies to act. When I asked about costs of systems, Brownlow reminded me of questions that CEOs; CFOs; safety, maintenance and operation managers in many industries constantly face—do you make a small investment upfront to monitor equipment and avoid the risk of accidents (like a breach), or do you pay millions after in clean-up, environmental assessments, fines and penalties? What about your company’s good name? Do you want to damage your reputation and then spend a lot of time, money and effort to get that good name back? The president of the mining company has apologized to local residents but there is a great concern that the local economy and environment has suffered a major setback. “In my opinion, best practices for any industry operating in remote areas must include some kind of remote monitoring system,” says Brownlow. He added that monitoring systems allow companies to offer regulatory bodies access to data and audits would become far easier and more objective. The public would feel that these facilities are being properly overseen, monitored and reviewed. At this point it is hard to say for certain what happened with this most recent mining incident, but what is certain is that M2M remote monitoring can have a huge role in helping industry keep operations moving and protect their good name.